Mary Yamada passed away quietly in her sleep on January 20, 2019, eight days short of her 94th birthday. Mary was born in Delta, Utah on January 28, 1925. Her family moved to Murray, Utah when she was six years old, then to Union, Utah two years later. She graduated from Jordan High School and was the Year Book Editor, her senior year. 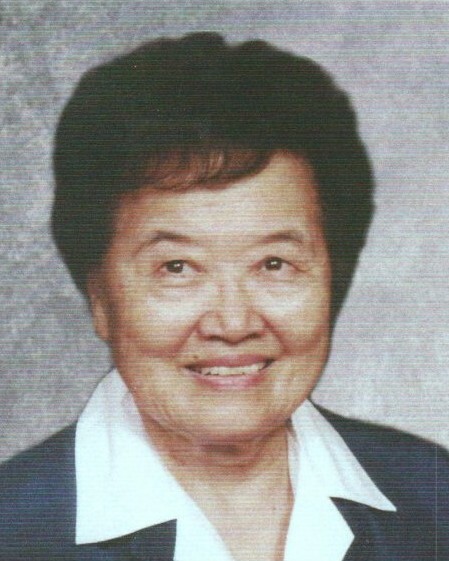 Mary moved to Nampa, Idaho in 1952 after marrying Manabu “Nobby” Yamada. In Nampa, she raised three children and worked as a bookkeeper for the Nampa School District. She retired in 1990. She is survived by her children, Linda Mulder and husband John (Boise, ID); Wesley Yamada (Chandler, AZ); and Timothy Yamada (Henderson, NV); her sister, Amey Enomoto (Monterey Park, CA). She has four grandchildren, Takara Sullivan and her husband John (Eagle, ID); Kayleigh Mulder (Boise, ID); Trevor Yamada and his wife Breanne (Phoenix, AZ); and Christina Yamada (Denver, CO); and one great grandchild, Sofia Sullivan (Eagle, ID). In lieu of flowers, the family requests a donation to be made to the American Cancer Society, the American Heart Association, or a charity of your choice. The family would like to thank the doctors, nurses, and hospice staff for the care they provided Mary during her finals days.